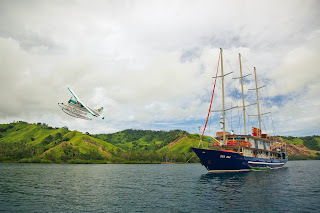 Tui Tai Expeditions: Arriving in style! Some of our guests arrived yesterday on a seaplane! It flew low right past the boat.